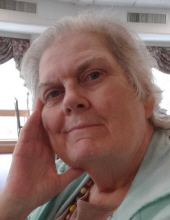 Joyce Mary Boozang, 77, of Hamden, passed away at YNHH on March 26, 2019 after a short illness. Born in New Haven on July 28, 1941 to the late William and Mary Gallagher Boozang. Joyce will be remembered by her wife of 33 years, Michele Hubbard; her brother, William Boozang & his wife Sheila of Walpole, MA; her sister-in-law, Imelda Boozang of Suffield, and many nieces & nephews. She was predeceased by her brother, Robert Boozang. Joyce was a long time friend of Bill’s and an active member of Grace & St. Peters Church. A graduate of Quinnipiac, she continued her education at Southern where she graduated with her Masters in counseling. For over 30 years, she worked as a counselor in the New Haven area. Joyce was a talented artist and enjoyed theatre workshops when she was younger. Her sense of humor will be greatly missed. Joyce knew how to find the humor in any situation and used it to make people more comfortable even during difficult times. Joyce was dedicated to her family and would often look for excuses to get everyone together. She will be missed by everyone who knew her. To send flowers or a remembrance gift to the family of Joyce Mary Boozang, please visit our Tribute Store. "Email Address" would like to share the life celebration of Joyce Mary Boozang. Click on the "link" to go to share a favorite memory or leave a condolence message for the family.